As a homeowner, one of your primary goals is to make sure that your home stays comfortable for you and your family all throughout the year, but if it has been a while since you last had your Tucker air conditioning or heating system serviced, that task might be a bit more difficult than you realize. 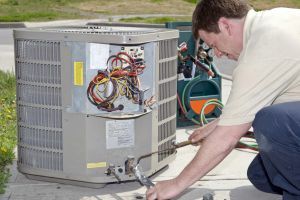 Your heating and cooling systems are easily two of the most important features in your entire home, and like any other mechanical device, they require prompt and professional care when something goes wrong to get them back up and running both effectively and efficiently. Here at Mobley Heating & Air, our air conditioning company offers a wide variety of quality services designed to help you keep your systems up and running their best all year round, giving you everything you need to keep your home at the perfect level of comfort. From routine AC maintenance, to minor repairs, and even round-the-clock emergency service, our team of professionals are committed to making sure you have access to the knowledgeable service you need, right when you need it most. When it comes to your home's heating and cooling system needs, you should never have to settle for service that is second best, and when you make the call to our team of experts, you never will. Here at Mobley Heating & Air, each and every one of our professional Tucker air conditioning and heating experts are fully licensed, trained, and experienced in the field, and we know what it takes to get the job done right, and get it done right the first time. Even the smallest issues with your heating and cooling system, if left untended, can result in major issues down the line, and that is something that we do our best to help you prevent. If you have any questions about our full line of high quality air conditioning and heating services, or if you would like to schedule an appointment for consultation with one of our specialists, give us a call today. Our team of experts are always standing by and would be more than happy to assist you in any way we can. When the summer heat starts to bear down, you and your family depend on your home to be your refuge of comfort, but if your air conditioning system isn't functioning at the level of efficiency that you need, or your system has broken down entirely because it wasn't properly maintained over the previous year, you can very quickly find yourself in panic mode. 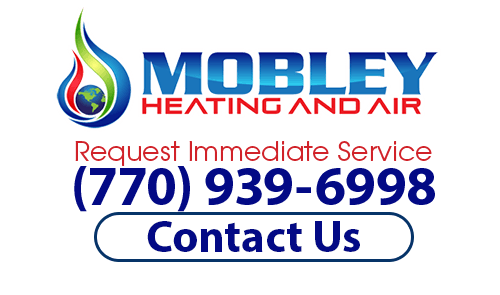 Here at Mobley Heating & Air, we know how hot these Georgia summers can get, and we are here to make sure that no homeowner is stuck without a working air conditioning system when the temperatures start to get out of control. Our team of experienced Tucker air conditioning pros have the skill and experience necessary to help you resolve any and all issues your home's cooling system might be experiencing, whether your system just needs a little bit of fine tuning, or it's time for a new system altogether. No matter how mundane or complex your service needs might be, you can always count on our team of experts to get the job done, and get it done right. If you are looking for Tucker Air Conditioning Repairs, Heating Installations and more, then please call (770) 939-6998 or complete our online request form.